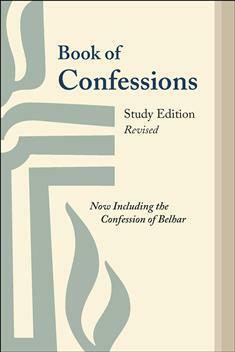 This revised study edition of the Book of Confessions contains the official creeds, catechisms, and confessional statements of the Presbyterian Church (U.S.A.), including the new Confession of Belhar that was added at the 222nd General Assembly (2016). Each text is introduced by an informative essay providing in-depth historical and theological background information. The book also includes two appendixes that explore the purpose of confessions. This study edition is ideal for seminarians and leaders looking for more extensive information about the history and theology of the confessions along with the official documents, all conveniently located in one volume.